We offer a great selection of vessels for the Adriatic coast. From ultra luxe till budget friendly. Have you ever thought about it? Croatia is absolutely stunning! It has more than 1000 Islands, 50 are inhabited and about 20 are regularly visited by yachts. The positive point of a private yacht is the fact that you can plan your own route and you don’t have to stick to a plan or itinerary. You make, together with the crew and captain your own route. 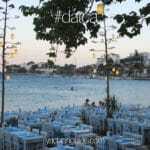 A must visit; lastova Island, Pukleni Island, Vis Island, Hvar Island en Brac Island. Planning an amazing seafaring journey in the Adriatic this season is a wonderful idea. Croatia is a beautiful country with so much to offer visitors. It boasts over a thousand islands and islets but only a select are a part of the itineraries set out by captains – which is more than plenty for your travels at sea. The two most popular ports which a good majority of charter boats in Croatia start from are Split and Dubrovnik. ıt is suggested also that even before you board your yacht charter, a tour in either one or both of these cities is a must! You can’t visit Croatia and not see at least one of these amazing historical and culturally rich seaside cities. Other ports which offer yacht charters in Croatia are Zadar, Rovinj, and Sibenik. But depends on the time of year, where the boat is based, time and budget. For large group charters, there are a variety of classic mini cruisers – not many, but there is choice. 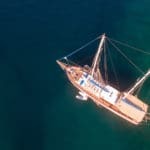 Since the quantities are limited, these traditional vessels can get booked up early before the season starts and sometimes from the previous year for the following season. 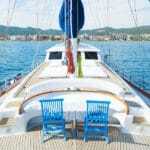 The benefit in getting a large number of friends and family members for Croatia luxury yacht charters is firstly price. The more there is in your group, the more to divide the charter rates and expenses – which in turn makes it affordable everyone. Take for instance, Amorena yacht. 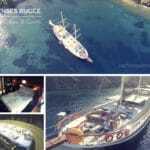 She is a 38 person 44 meter mini cruiser charter based in Split. Her accommodation comprises of 19 cabins, each fitted with air conditioning and en suites with showers. One of the 19 cabins is reserved for a guide. It is a great boat for multiple families too (11 double and 8 twin cabins). She offers a large and spacious upper deck – great for taking in some of the warm Croatian sun. The Amorena yacht benefits from being new – a 2011 build. Therefore she is in excellent condition and very comfortable throughout. There are three levels on board for guests. In addition to the upper deck, there is also a forward deck for lounging and sunbathing as well as a shaded aft for dining, plus the lower level for accommodation. Her top months are June, July and August so booking way in advance is beneficial to be able to find the week suitable for your travels, and you could possibly get a favorable early booking discount too. There is another beautiful yacht called the Barbara. She too is perfect for large groups for up to 34. The Barbara mini cruiser measures 41 meters in overall length, and offers an identical layout as the Amorena yacht. The cabins are located on the lower and main decks. Again there is sunning areas on the upper and forward decks for guests – while also featuring a jacuzzi tub with panoramic views of course! She comes with an experienced crew of 7 ready to pamper their guests during their trip with their Croatian charm and hospitality. For slightly smaller groups of up to 18, the Luna yacht charter is a great boat to hire. She too is for smaller sized large groups. A great family boat, the Luna yacht offers a professional and skilled crew of 6. This 31 meter yacht provides floating accommodation comprising of two triple, two double and four twin bedded cabins. The deck on this yacht also benefits from a beautiful large jacuzzi surrounded by loungers, on deck. As well, for easy access into the sea, there is a swimming platform. All cabins offer air conditioning and en suites. For large groups, we offer a great selection of vessels for the Adriatic coast. We have a great, but only a few varieties of classic mini cruisers. The earlier you book, the better the choice! For example, Amoren Yacht, 19 cabins, for 38 guests. Absolutely perfect for a huge group like a family holiday or a group of friends. Cruising in Croatia is really beautiful. The country has a lot to offer, with more than 1000 islands and islets in total. The 2 most popular ports to start from, are Split and Dubrovnik. For more information do not hesitate to ask us! Please include country and/or city code. Please input the number of guests.